When: February 16, 2109- 8 to 11 p.m. 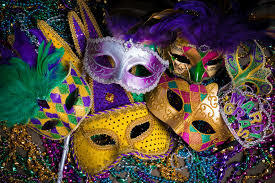 In order to purchase your Mardi Gras Ticket, you must be a student in good standing with no outstanding fees and fines. Enter your student id number as the access code and follow the prompts. You may only purchase one WCHS student ticket per order/transaction. Enter your student id number as the access code and follow the prompts to purchase your ticket. Start a new order/transaction to purchase second WCHS student ticket and repeat the process using their id number. Enter your student id number as the access code and follow the prompts. You will be able to purchase one NON-WCHS student guest ticket with your own order/transaction. Only NON-WCHS guest tickets may be purchased with a WCHS ticket. Please note purchasing a ticket for a current WCHS student using the non-WCHS student process may result in voiding the ticket and/or denied entry to the dance. All WCHS students must be associated with a current and valid WCHS student id number. Ticket sales end 2/15/19 at 4:00PM. All WCHS students must bring a dance ticket or QR code and current student id to enter the dance. All non-WCHS guests must be accompanied by a WCHS student and must also bring dance ticket or QR code and current photo id. All guests must be under the age of 21. No entry after 9:30 p.m.
All dance attendees must agree to the dance rules & regulations on the following page. No refunds for dance tickets. If you are denied access to purchase a ticket, please contact the WCHS Main Office in person or by calling 614-797-6800.